It’s tailgate season! Which usually means lots of incredibly unhealthy (but delicious) food, cheap beer, and lots of yelling at the television. And while I can’t help with the yelling at the TV bit, (goodness knows I do when the Bruins are on) I can help with the first two. Cheap beer? Try serving a super simple and super tasty Spiced Pomegranate Martini. Unhealthy food? 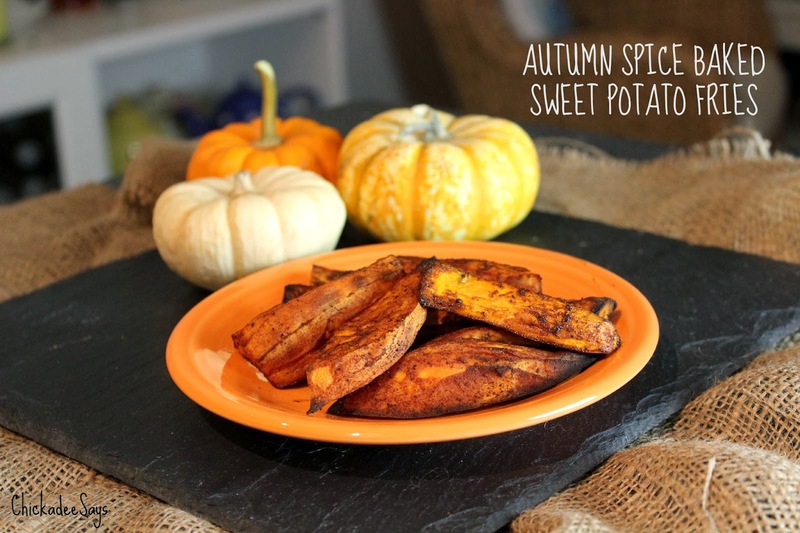 How about serving up some quick-to-make Autumn Spice Baked Sweet Potato Fries? You’re satisfied by same starchy goodness that you get from your typical fry, but with much less oil and a lot more flavor! Your tailgate buddies will thank you! 2. 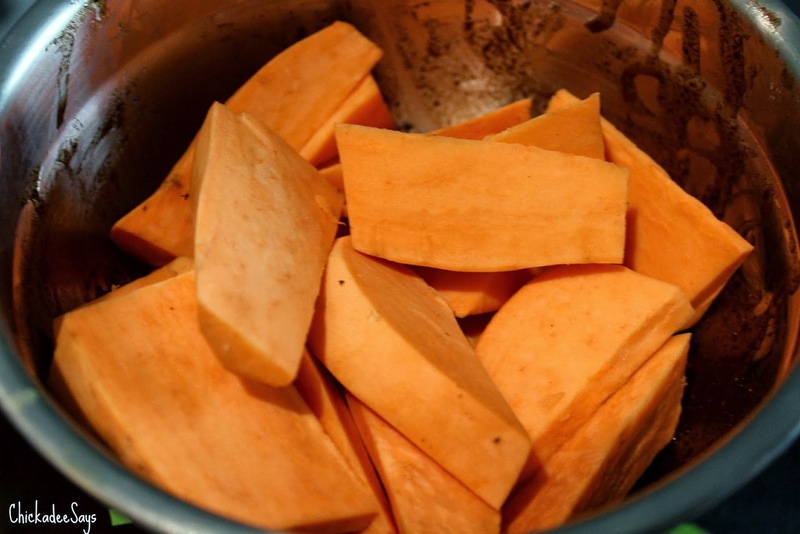 Wash and skin the sweet potatoes. Cut them into (relatively) uniform wedges. (Note: this is easier said than done as sweet potatoes are notoriously unpredictable when it comes to size- do your best). 3. 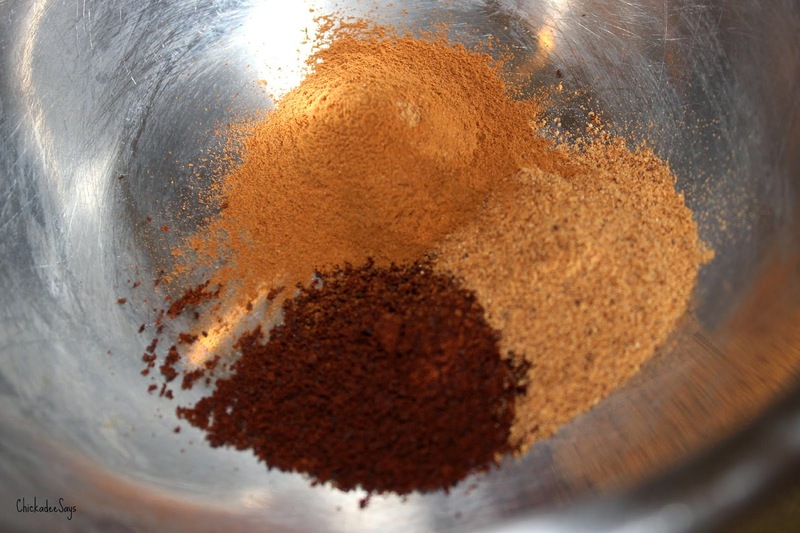 In a small bowl mix spices and oil. 4. 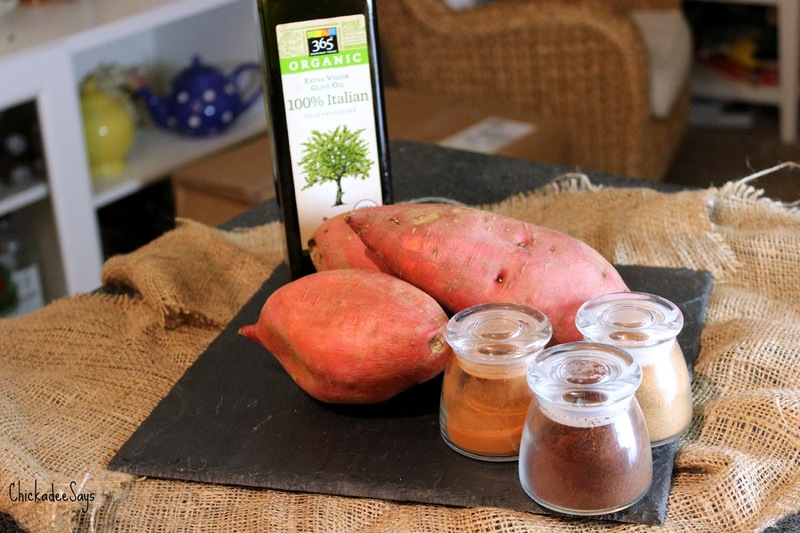 Working in batches, add sweet potato wedges to the oil/spice mixture and coat well. 5. 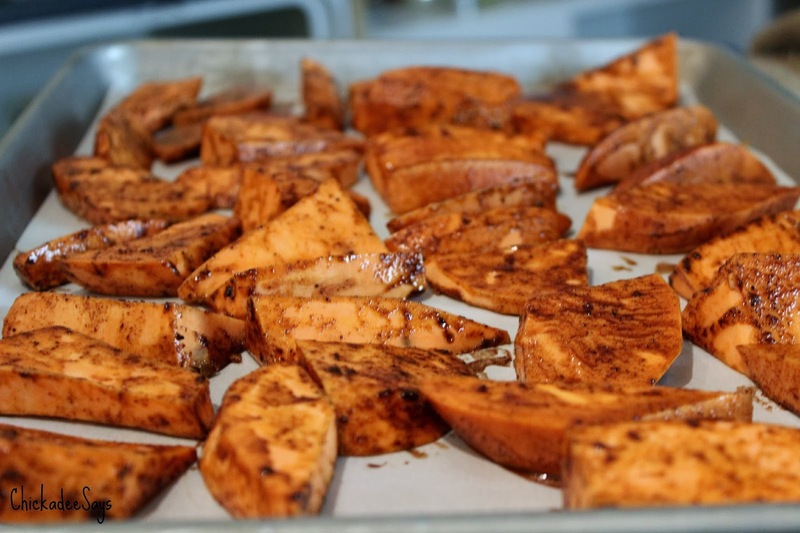 Place the spiced wedges in a single layer on a baking sheet lined with parchment paper. 6. Pop in the preheated oven for 25 minutes or until the wedges are easily pierced with a fork. 7. Enjoy your fall treat! What is your favorite tailgate food and sport? Let me know in the comments below!